After a very long period of negotiations and legalities, the RCTS finally opened its new Archive and Library based in the Stationmaster's house at Leatherhead station. This facility replaces various storage and library sites around the country. A ceremony was held to mark this occasion to which I was invited as RCTS Watford Branch Chairman - many thanks to all concerned for the day and setting up this great asset! 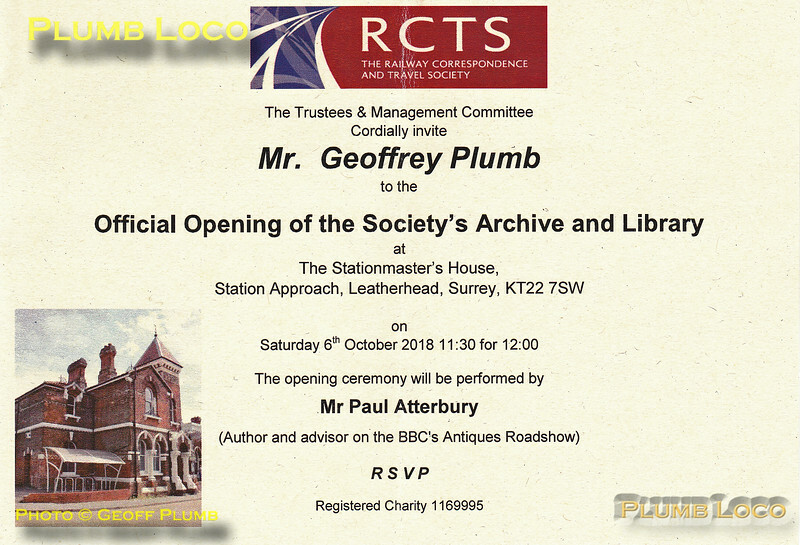 Official invitation to the opening of the RCTS Archive and Library in the Stationmaster's house at Leatherhead station, to take place on Saturday 6th October 2018.